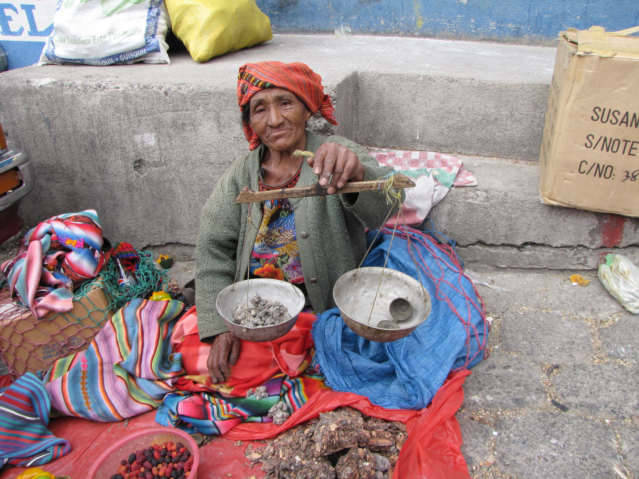 I came upon an older woman in the Market the other day, she did not fit it, she looked ancient, like I was somehow looking at Guatemala 50 years ago. I saw her face, eyes, clothing and my instincts took over and I needed to identify the dissonance in my mind, why did I feel different when I looked at her. The way she was sitting on the ground was different. The scarf on her head was different. She was dark skinned; she does not avoid the sun, as do many of the modern Mayan or Mestizo people of modern Guatemala. 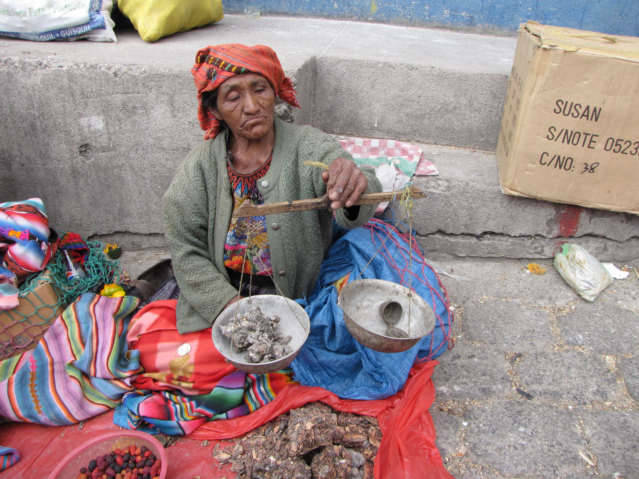 She was selling a product I have never encountered in the market, it was Tuesday, market day in Solola, this market has almost nothing to go with Gringos. Look are her eyes, she is weighing the incense. The women did not speak Spanish, however was extremely smart, with sign language she indicates her product was used in for praying. 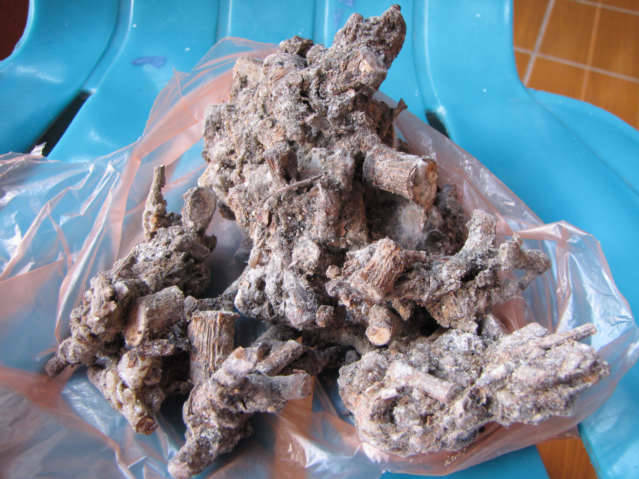 I ante up five quetzals for what I remember as one have pound of this homemade incense. Her eyes are taking into consideration, yes the weight is correct, is this just, is the weighing process ok.
She offers it up for my inspection with full respect of me, no mockery, no Gringo look, complete respect. I stopped to take a few photos of here while she was looking me in the eye. 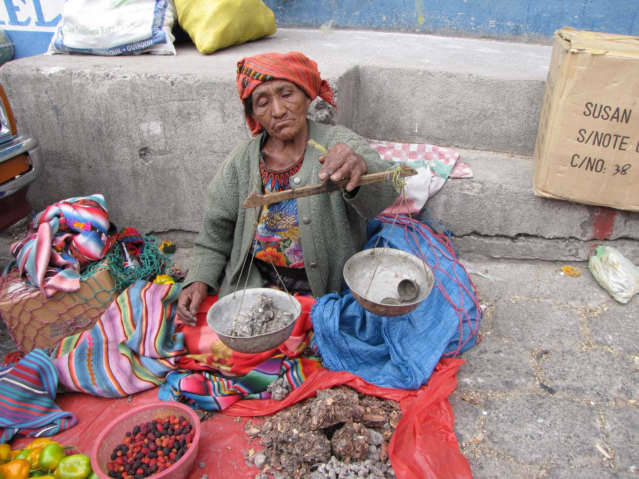 I feel sure she knows I am purchasing the incense in exchange for the photos. She is ok with this, she helps to make my photos good, she gets an assist and continues with the business of the day. I did this a blind test; I had already asked a man who as working in the sales space next to the woman what it was. He wrote this word down, “estoraca.” I ask about the red material and he wrote “arbol,” I know this word is Tree. Specific use of words is not common in the majority of cultures on the planet, I must push for clarification, there is continually minimizing information, to go into detail is not common. I do am not able to find the word “estoraca,” however it may also be spelled “estoracy.” This spelling is not Spanish, so hard to believe that is the correct spelling. I have great joy in meeting and getting to know older people in other countries, the respect given by older people greases the wheels of understanding when one attempts to truly understand another culture and not just photograph it. This page cost 5 Quetzals to make.